We are proud to be an appointed specialist of Grotrian-Steinweg Pianos; premium quality pianos made in Brauschweig, Germany. 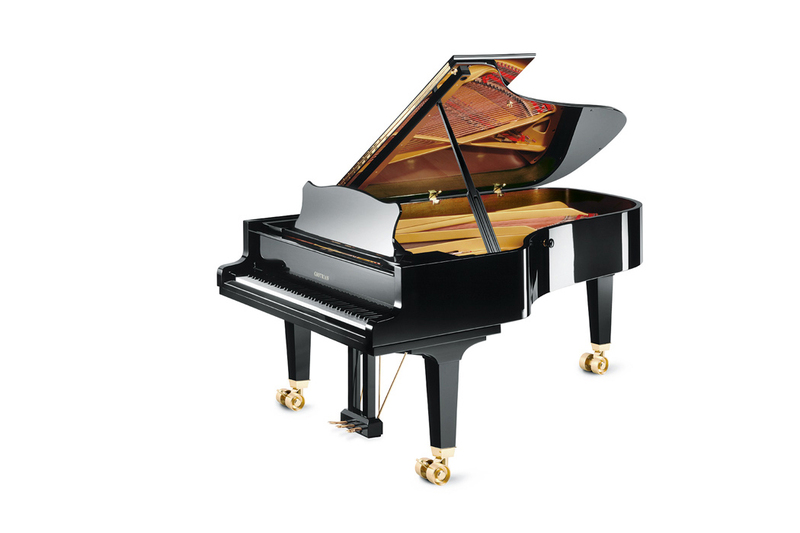 In 2015 Grotrian-Steinweg celebrated 180 years of piano manufacture. Friedrich Grotrian began production in 1835 followed by five more generations of family ownership. With recent new investment the quality of Grotrian-Steinweg pianos can be maintained and developed true to the reputation established throughout the history of this prestigious company. Across the years one thing has remained constant with the Grotrian-Steinweg family; the love of music. 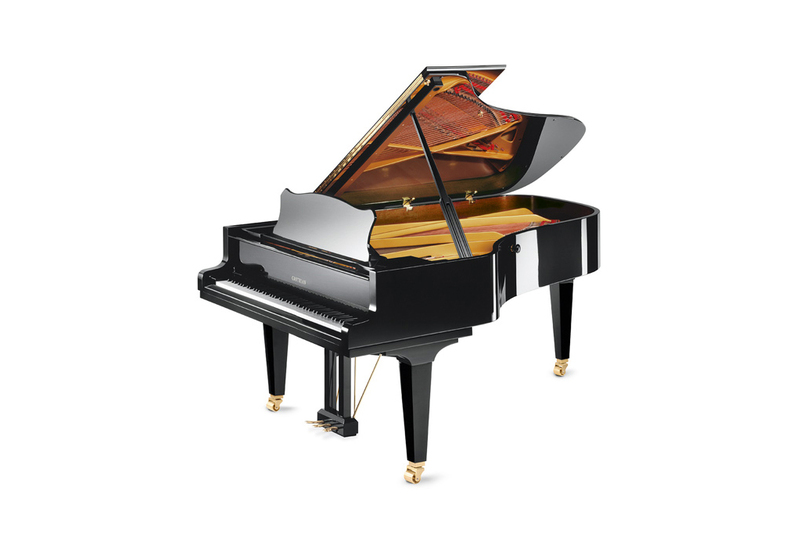 Grotrian-Steinweg pianos produce a unique and exceptional tonal quality achieved through innovative design, skilled craftsmanship and the use of the finest materials. The beautifully weighted action response contributes to the immersive playing experience and simple but elegant cabinet designs add aesthetic appeal exuding quality. For us, there are no finer pianos. 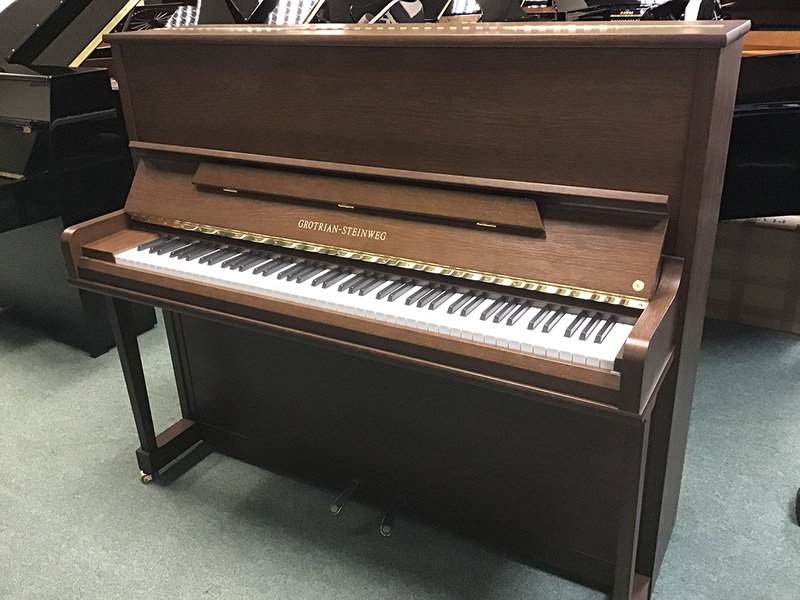 We display at least six Grotrian-Steinweg upright pianos and two grand pianos in our showroom and encourage visitors to play and experience these fine pianos at every opportunity. Our stock of Grotrian-Steinweg pianos are tuned regularly so that their voices can be discovered and fully appreciated by visitors. 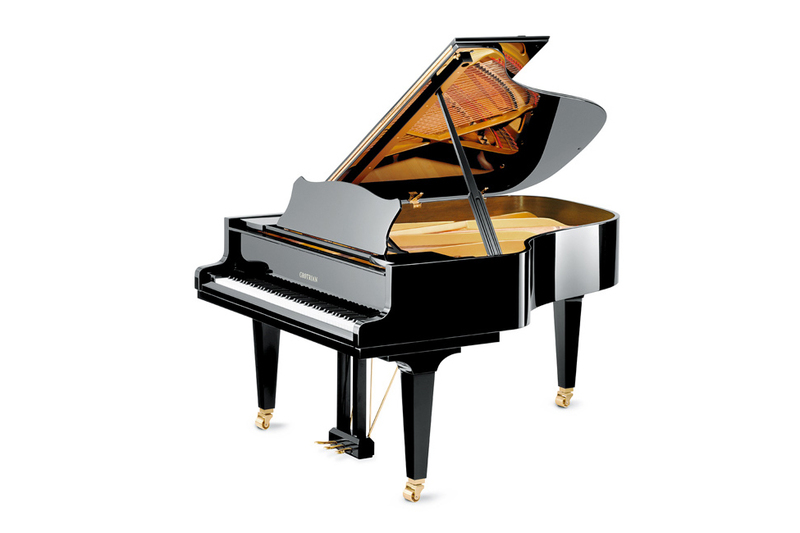 All Grotrian-Steinweg pianos come with a five year manufacturers warranty. 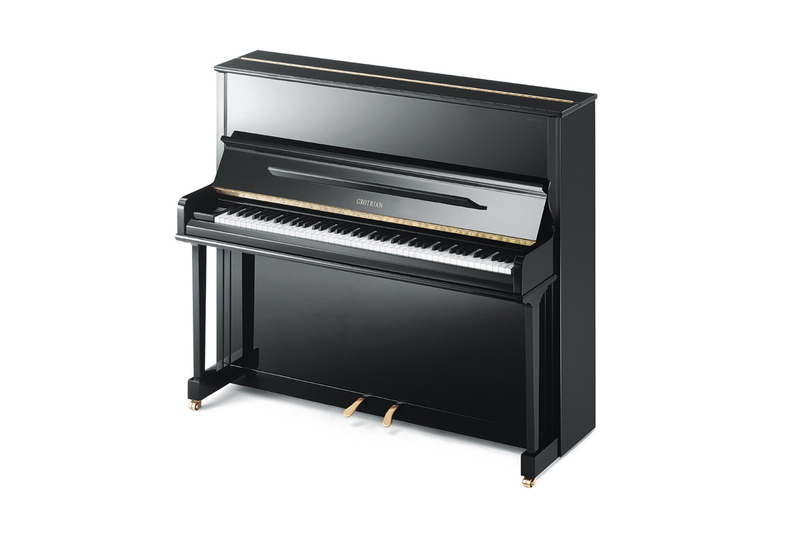 The fabulous Friedrich Studio upright offers a musical performance more consistent with pianos twice its size. Tonal colour, character and power make this model quite unbelievable, it has to be played to be believed! As with all Grotrian instruments; 100% made in Braunschweig, Germany. The Contour combines tried and trusted methods of production with a timeless and elegant design. 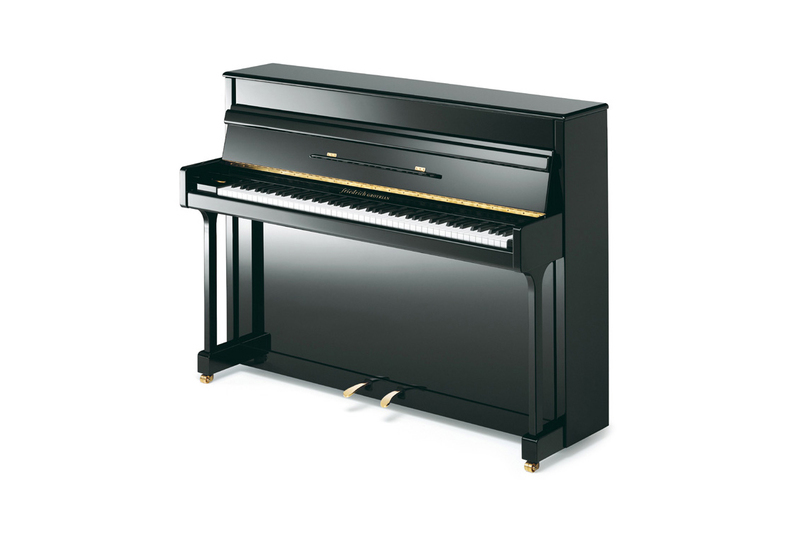 A traditionally shaped piano, which suits any room and adds a touch of class. 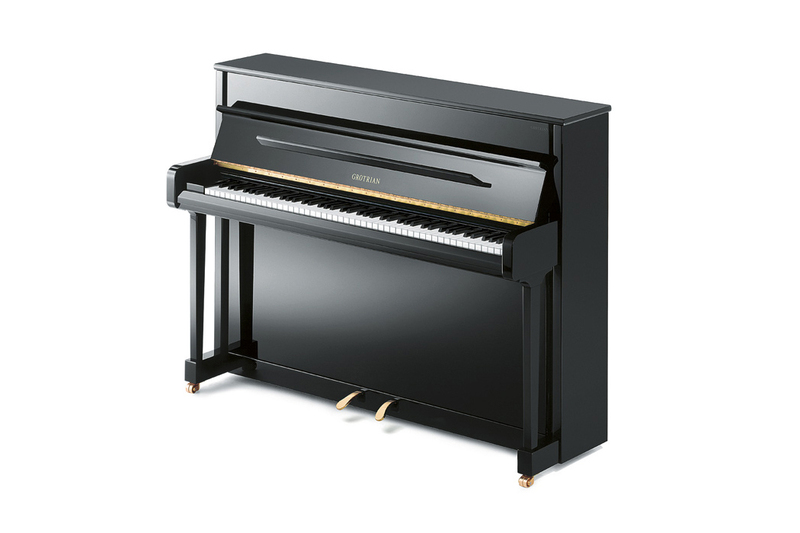 With a clear and full coloured sound the piano is suitable to meet the high musical demands of a solo pianist or a chamber musician. My Grotrian-Steinweg is an utter joy to play – the sensitivity, the touch, the tone. I can’t really find the words… It’s just the best thing I have ever bought in my life. I adore my new piano – it has soul. It seems to be alive… And it has made me more alive. Everyday. The Carat is perhaps the most romantic in the Grotrian upright range. Its tonal character is warm, rich and resonant creating a uniquely rewarding musical experience. Beautiful and sophisticated, the more you play the Carat the more tonal possibilities you discover. The 118 cm height provides for a full rich bass that balances beautifully with the mid and treble sections. A restyled Concertino at a lower price point (Model G-131) is available to order. I knew within an instant that the touch, tonal quality and impressive sound of the Grotrian Concertino made it the perfect piano for me. I never tire of practising and the journey with my Grotrian is both exciting and enduring. 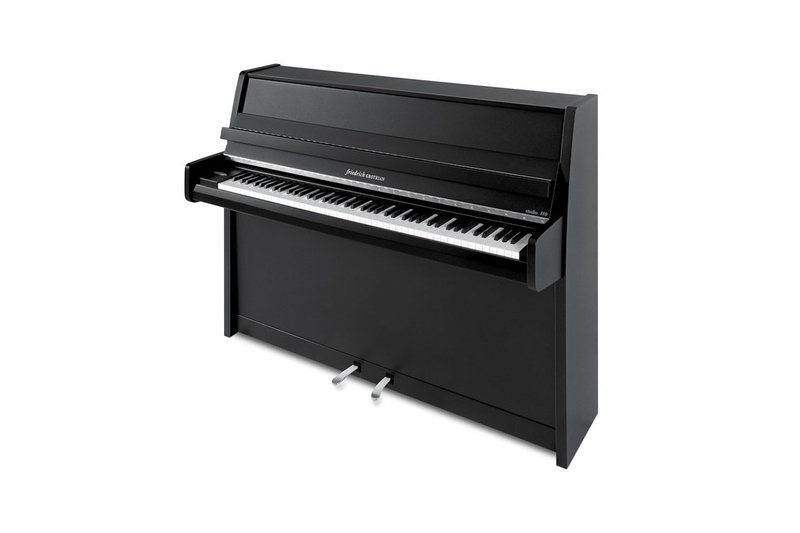 The Chambre is a popular choice at our showroom and is the smallest of the Grotrian grand piano range. Perfectly suited to fit into a home environment the clear and impressive tone combines with a delicate touch to give an astonishing performance. The action is unquestionably first class, the top end crystal clear and the bass wonderfully resonant and deep. Words simply cannot describe how I feel every time I sit and play my Grotrian-Steinweg – it is just sublime and I am transported to another place whenever I touch a single note. 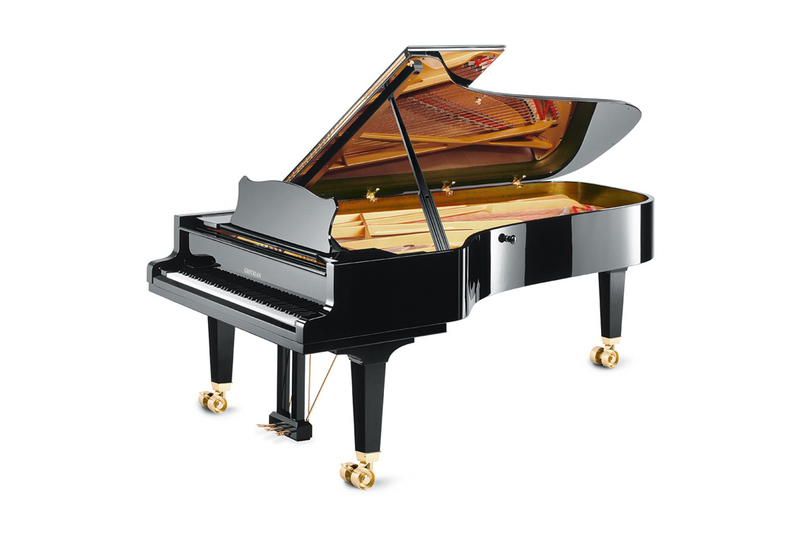 Grotrian-Steinweg pianos can be ordered in bespoke finishes. This beautiful Classic (G-124) model has been hand polished in an attractive satin oak finish. 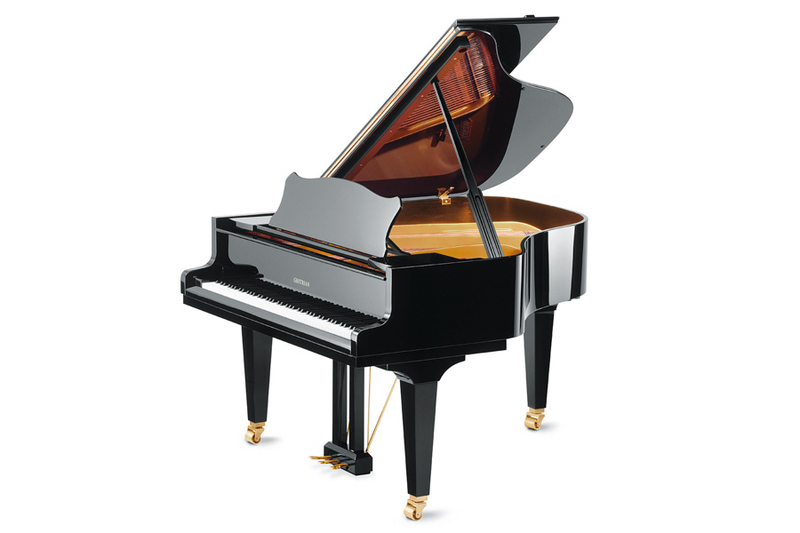 All GROTRIAN upright and grand pianos are completely built in their factory in Braunschweig. 75% of each instrument is made by hand! To build pianos with less effort would mean that they would never reach the high quality and stability expected in a GROTRIAN piano, nor would they sound so beautiful.